The government has proposed as many as 46 amendments to the GST law - Central GST, State GST, Integrated GST and Compensation of Sates Act. The 28th meeting of the GST Council has begun in the national capital. Among the key issues that the Council will take up today are the proposed amendments to the GST law, simplification of GST returns and the creation of GST appellate tribunal. The government has proposed as many as 46 amendments to the GST laws - Central GST, State GST, Integrated GST and Compensation of Sates Act. The amendments, among other things, provide for modification of reverse charge mechanism, separate registration for companies having different business verticals, cancellation of registration, new return filing norms and issuance of consolidated debit/credit notes covering multiple invoices. Earlier in June, Finance Secretary Hasmukh Adhia had said that the GST has entered a smooth phase and the efforts will now be to simplify tax return forms. He informed that the tax officers were working on a single page return form which will be modular in nature and "user friendly". "This year's main agenda would be to implement the new and simple system of filing of returns," he had said. 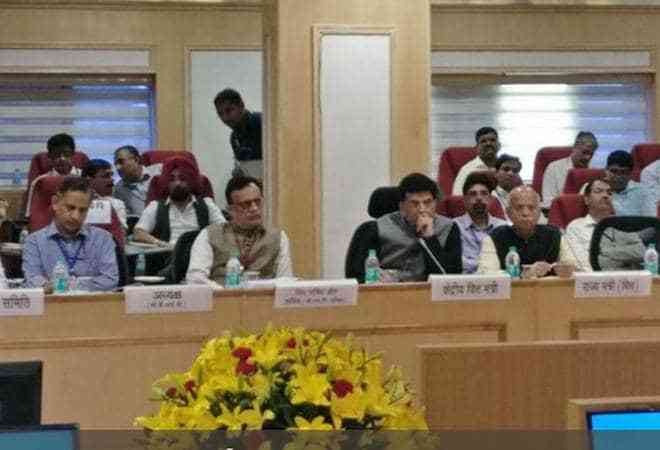 The GST Council will also consider setting up of a National Appellate Tribunal in Delhi with three regional benches with members from judiciary as well as tax departments to hear appeals against the order of the appellate authority set up by states under the GST regime. According to the proposal which will be placed before the Council today, three benches of the national appellate tribunal would be set up at Mumbai, Chennai and Kolkata. The proposal is aimed at dealing with the problem faced by industry on account of contradictory orders passed by Authority for Advance Ruling (AAR) in different states. It has also been observed that most of the AAR orders are in the favour of the revenue department as these authorities are manned by tax officials. Industry has been demanding that an independent judicial member should preside over the functioning of the national GST appellate tribunal to be set up for adjudicating disputes between revenue and taxpayers. The Centre and state governments would have to amend the GST law if the proposal is approved by the Council. Under the GST law, an aggrieved party can file an appeal against the order of the AAR within a period of 30 days, which may be further extended by a month. As per the law, all states are required to set up at least one AAR for seeking advance ruling over GST levy and one appellate authority to hear appeals against the AAR order.